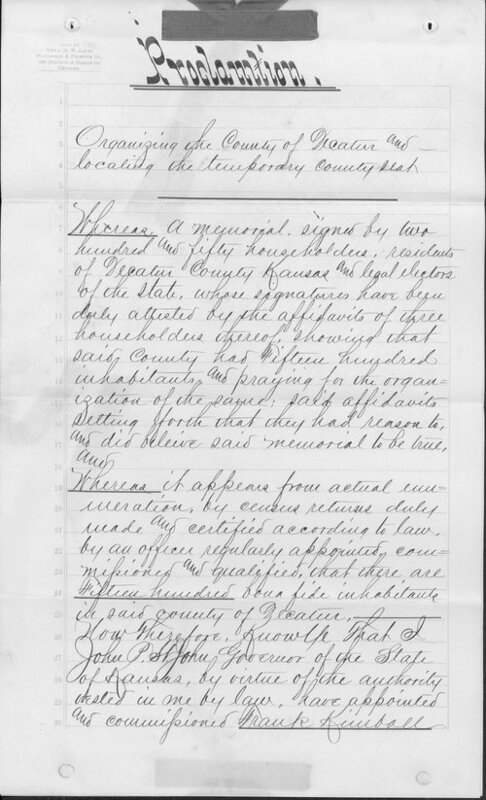 Included in this file is the proclamation from the governor appointing county officials and designating Oberlin as the temporary county seat. Also, a letter certifying the county seat results between Decatur Center and Oberlin, with Oberlin having the most votes. A complete transcription is available by clicking "Text Version" below.